Korean telecom operators are seeking partnerships with Israeli automotive tech firm Mobileye to maximize their presence in the self-driving car industry by combining their fast network capacities with the company’s big data technologies. Mobileye, which was acquired by Intel for $15.3 billion in March, is a leading advanced driver-assistance system solution provider to most global automakers. ADAS solution is a vehicle safety system which alerts drivers to potential collisions or accidents, by gathering information via various means such as sensors and cameras. “Korea is the only country where telecom operators are forming partnerships with Mobileye. Their fast network enables them to collect big data from ADAS to develop their own vehicle safety technologies,” said Lucky Park, a country manager of Mobileye in an interview with The Korea Herald. By combining the telecom operators’ network capacities that enable wider collection of big data related to roads and driving, the current self-driving development stage separately pushed by the hardware manufacturer, parts maker and network operators could thereby create greater synergy, according to industry insiders. Korea currently has the world’s fastest internet speed and is slated to see the world’s first 5G network in 2019. 5G is the key to self-driving technologies as even a one second delay in traffic information can cause a major accident. 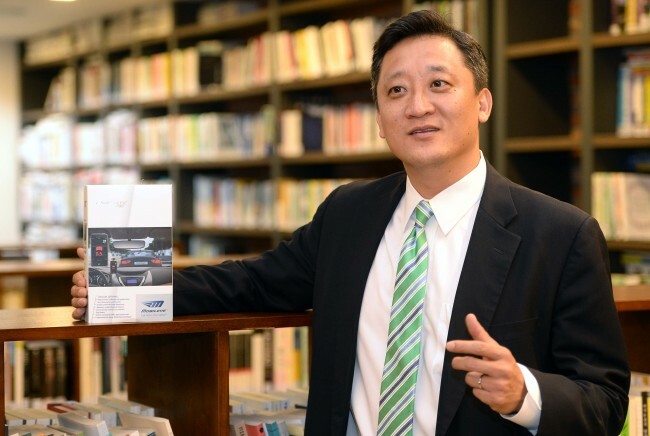 KT, which is slated to show off 5G pilot service next year for PyeongChang Olympics, partnered with Mobileye in June to integrate its connected car platform KT GiGa drive with ADAS solution. It aims to develop new vehicle services such as advanced vehicle control system. SK Telecom is also developing its own remote ADAS technology that can collect and analyze data on drivers’ behavior, traffic information and car accidents. LG Uplus installed ADAS in 52 local taxis in June to analyze car accidents and driver behavior together with the Seoul Metropolitan Government. “Their bigger interests, however, lie in Mobileye’s upcoming mapping technology, which is called Road Experience Management, or REM, to be newly added in Mobileye 8 series next year,” he said. REM is a mapping technology that captures lane markings and road information and sent to the cloud in real-time so that the cumulative fleet data can improve high-definition navigation maps for car localization. Telecom operators can collect the big data via their network to advance their high-definition map technology, which is one of the key elements for self-driving vehicles. Early this year, SK Telecom announced that it plans to make its high-definition map 10 times more accurate. The advanced HD map will be used for its mobile navigation service T-Map having 10 million subscribers. KT and LG Uplus also have their mobile navigation services, which was recently merged, by partnering with other mapping tech firms. Park predicted ADAS is expected to “become mainstream in the local automotive market within three years” on the back of growing partnerships with local telecom operators and favorable government policies. “ADAS sales in the first half of this year here was bigger than the combined sales generated over the past three years,” he said. The government has currently been expanding the regulations to make driver-assistance technologies compulsory for large trucks and buses, which are frequent causes of fatal car accidents. On July 11, President Moon Jae-in said during a cabinet meeting “We should go in the direction of keeping the public safe even if more budget is required,” when an issue to make driver-assistance system mandatory was brought up. The President’s remark came a day after a major car accident caused by a drowsy bus driver killed two and injured eight people. “Most car accidents can be prevented when a driver is alerted two seconds before the collision,” he said, citing data released by French insurance firm AXA. AXA said giving a warning of 2 seconds before the collision prevents more than 90 percent of all car accidents. ADAS alerts a driver 2.7 seconds before the collision as its neuromorphic chips analyzes images of the car in front and calculates the speed and distance. The global ADAS market is forecast to reach $43.8 billion by 2023, with sensor revenue of $16.8 billion in the same year, according to market research firm Strategy Analytics.